Malala Yousafzay, the Pakistani schoolgirl who was shot in the head by the Taliban for expressing her views on promoting education for girls in the Swat Valley has been awarded the Nobel Peace Prize. Starting at the age of 11 or 12, Malala began blogging about life under the Taliban. Despite the risks, she became more vocal and public, particularly about the right for girls to receive an education. One of the many injuries suffered during her attack on October 9, 2012 was the loss of hearing in her left ear. 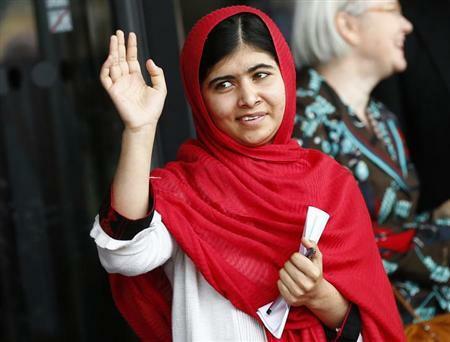 Malala received a cochlear implant, which was activated in October 2013. And on October 10, 2014, almost exactly two years to the day after being shot, Malala became the youngest person ever to have received the Nobel Peace Prize. This entry was posted in News and tagged cochlear implant, Malala, Malala Yousafzai, Malala Yousafzay, Nobel, Nobel Peace Prize by CochlearImplantHELP. Bookmark the permalink.